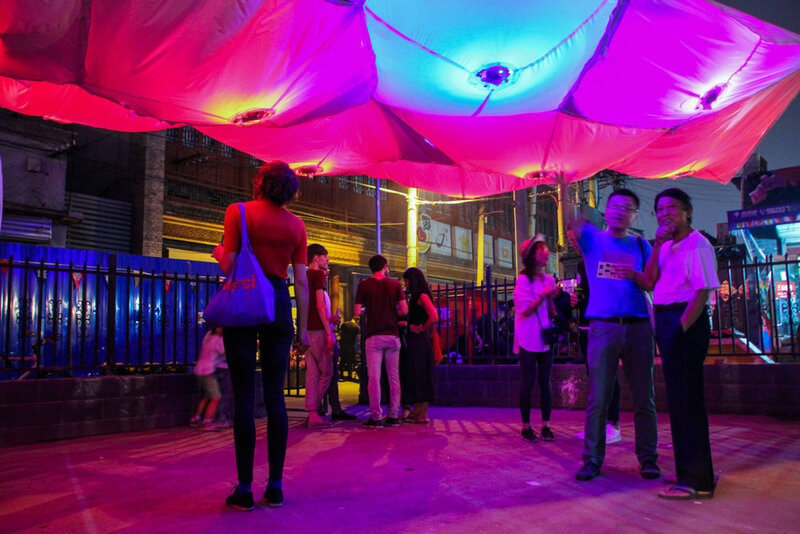 The Octopus Pavilion provides an inviting, interactive open-air public space at the heart of the Baitasi neighbourhood and at the centre of the Beijing Design Week activities. This pavilion explores the concept of Soft City as embodied in an architectural canopy system, and is inspired by the dynamic, adaptive, and highly expressive characteristics of the octopus. Octopuses, a relative of the mollusks, are soft in a literal sense they have no bones and can squeeze through openings far smaller than their body. And yet this softness goes beyond their physical pliability, encompassing an adaptive paradigm that integrates intelligence, behaviour, and morphology. Octopuses have the same number of neurons as a cat, and yet ⅔ of these are situated in the legs. Neurons are clustered directly with sensing organs and muscle cells, allowing highly distributed control over sucker articulation, skin coloration and texturing. Octopuses take advantage of this intelligent skin employing it in a wide range of adaptive behaviours, from camouflage, mimicry, misdirection, to mesmerization - the stratagem of a magician. Using the analogy of an octopus, the pavilion highlights the characteristics of soft systems and intelligent skin. The pavilion is made as an array of pentagonal pneumatic cells that inflate, deflate and glow with coloured light in response to the activity in the site. Each cell has its own sensors, microcontroller, air fans and RGB LED lights, allowing it to react independently, and yet, though the supple nature of the connecting material, an overall dynamic effect will be achieved. The pavilion responds to both movement and sound, reacting to and mapping the unfolding events in the site. 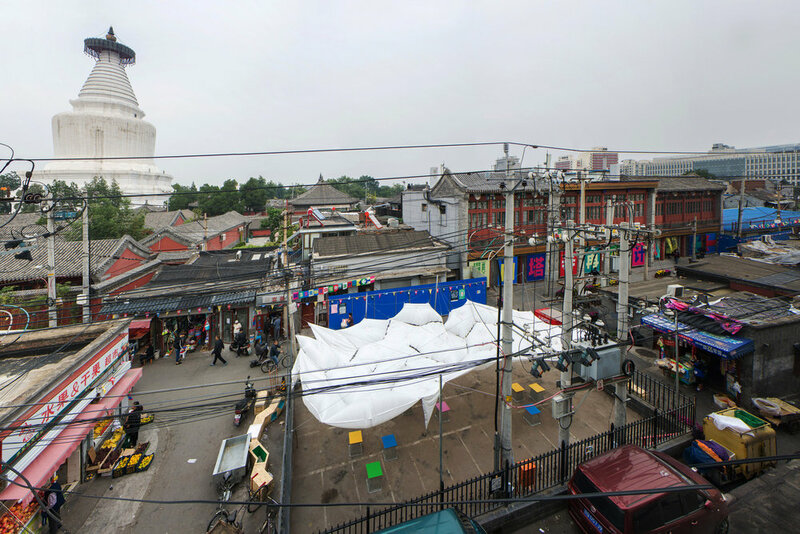 In this way, the pavilion will become the heart of Baitasi measuring the pulse of the neighbourhood. 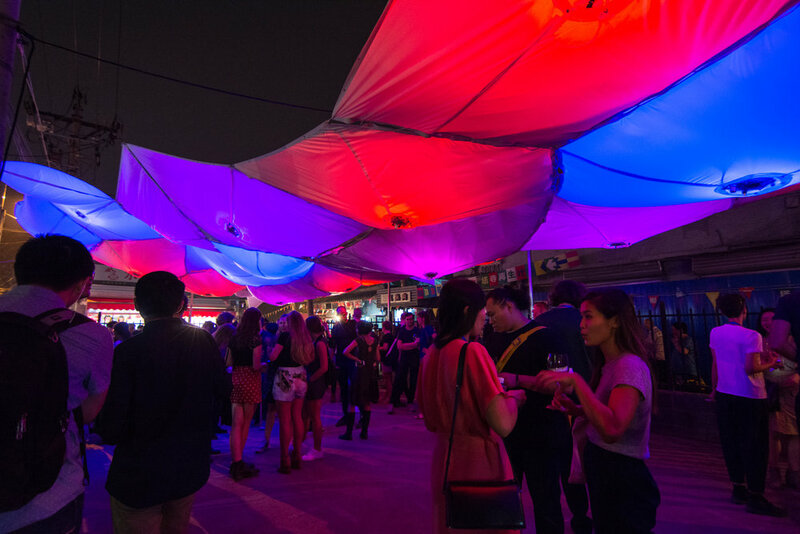 Timelapse of inauguration party of the Octopus Pavilion and Baitasi ReMade during Beijing Design Week 2016. 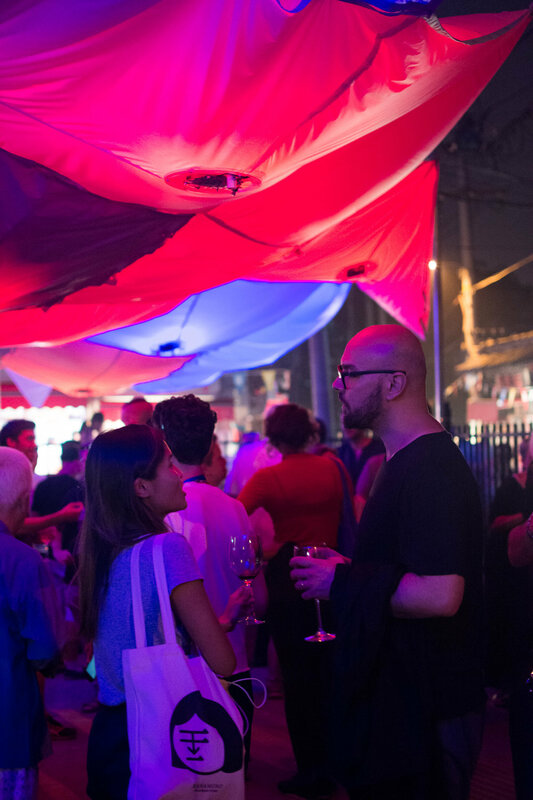 The Octopus Pavilion is a part of Soft City, a project which includes an international forum on Soft Space and Soft Infrastructure and workshops/events in the pavilion.